We are dedicated to providing the highest quality professional legal services, utilizing not only the aged and traditional methods, but incorporating the latest trends in light of the most recent changes in the law affecting your trust or will. Because we know how important it is to plan your estate – and to keep it up to date – we want you to have the information you need when you work on planning your estate. Our in depth meetings will cover all aspects of your estate that need to addressed, assuring thorough and accurate information for your specific requests. This results in the best trust or will for you! We will customize your estate plan tailored to your needs is critical to the preservation of both your personal and business assets for you and your heirs. There are no one size fits all formulas. Call us for a free consultation about a Trust or Will. There is a high percentage of our new clients that are referrals from existing clients, a testament to our outstanding customer service. Our up-to-date knowledge of changes in the law, personal attention to your specific needs, as well as the highest quality work product, sets us apart. After your Trust is complete, we can provide guidance to you at no additional charge. Changes in the law affecting your estate will be identified. Certain requirements and specific declarations are needed for your document to be recognized by the probate court as legal. When that time comes you will not be able to correct any deficiencies so it is crucial to have it proofed by a professional. 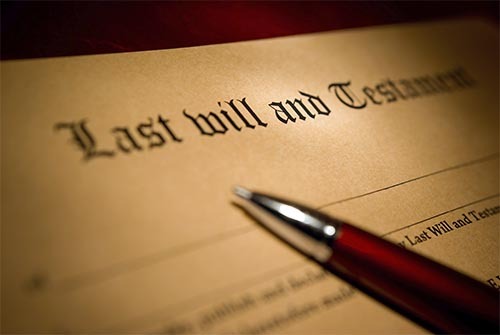 SD Legal Center has a great deal of experience with creating and documenting a Will. Contact us today for an appointment or consultation to discuss your needs. To help our clients in creating unique and innovative solutions to meet their particular needs. When you’re developing a plan for your estate, it’s important to understand your entire financial picture. That’s where we come in. Working with your tax and legal advisors, we will help coordinate your investment strategies to help ensure that your plan reflects your wishes for your legacy. At SD Legal Center we are dedicated professionals who ensure our clients feel their concerns will be heard as well as respected during the estate planning process. SD Legal Center offers families a new set of skills to empower and strengthen them to better cope with future. There are many factors that must be considered and we want to be of upmost assistance during this time. You will have confidence in your decisions and power to move forward with you estate planning. You will be able to sleep at night knowing your house is in order.